Spring 2019 Leila Jaffar commissioned by the European Asylum Office EASO in Malta to participate in project-team tasked with developing a new training-module for staff at refugee hotspots. Jaffar Consultancy has been asked by the European Asylum Office EASO in Malta to work on the parts of the training which deal with intercultural communication, non-verbal communication and conflict management, as parts of a comprehensive training for staff members of EU countries working at the various hotspots for refugees in the Mediterranean region. In 2016 these hotspots were created by the EU to function as first ports of embarkment for refugees who have crossed the Mediterranean in order to ask for asylum in the EU area. In the spring of 2015 Leila gave a two-day workshop for EASO in Malta, which was very well received by the attendees and prompted a second run of workshops in May and November of 2016 and a further round in 2017. Jaffar Consultancy was also involved in the development of EASO traning material and an e-learning module for EASO staff in 2017. At the start of 2017 Jaffar Consultancy signed a contract with the Dutch Ministry of Justice to develop a module Motivational Interviewing for all 250 staff members of the Dutch Ministry of Justice who are tasked with maintaining he contacts with asylumseekers who have seen their application turned down and therefore are obliged to leave the Netherlands. During the period 2017-2019 these 250 staff member of the Department of Justice will be trained by Jaffar Consultancy in the application of the techniques of Motivational Interviewing, combined with techniques from Intercultural Communication, since these staff members of the Department of Justice have to work exclusively with former asylum seekers who by definition are not Dutch and not from the EU. The method that has been developed by Jaffar Consultancy, with input in earlier stages by the Utrecht University of Applied Sciences (Hogeschool Utrecht) is a combination of methodological insights and practical techniques from Motivational Interviewing, facilitative mediation, solution-focused training, probational work, Prochaska’s and DeClemente’s Transtheoretical Model and the Globe Research on intercultural communication. 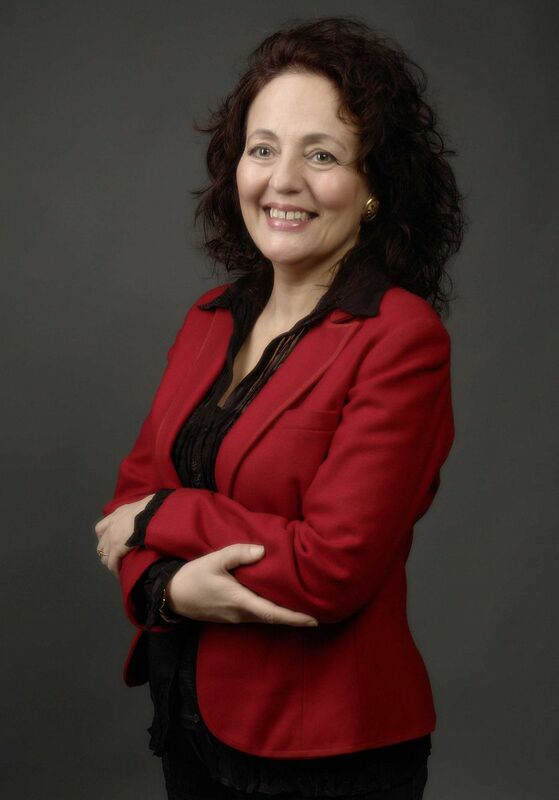 Leila Jaffar was invited in April of this year to give two workshops for students and staff of the faculties of Social Sciences at the Univerity of Goteborg in Sweden. The first workshop dealt with the general principles of intercultural communication. The second workshop dealt with the relation between gender, power and non-verbal communication. In this workshop Leila Jaffar gave an analysis of the way power relations, in particular between men and women are reinforced by means of non-verbal communication and body language. Leila also showed how this takes different forms in different cultures. She shared her insights in how women can use non-verbal commnication to improve their own position within a power relation. Leila Jaffar of Jaffar Consultancy will be giving two workshops Intercultural Communication in March and November 2017 for staff of the European Asylum Support Organisation EASO and it's European cooperation partners at EASO's headquarters in Valetta, Malta. In the spring of 2015 Leila gave a two day workshop for EASO in Malta, which was very well received by the attendees and prompted a second run of workshops in May and November of this year. Jaffar Consultancy was also involved in the development of EASO traning material and an e-learning module for EASO staf in 2016. 21 % VAT exemption for all training services provided by Jaffar Consultancy still applicable for all our customers! In November 2010 Jaffar Consultancy has been officially recognized by the Dutch Central Register of Professional Training CRKBO as an official provider of training for companies and institutions. Jaffar Consultancy had to undergo an audit to gain this recognition. Recognition by the CRKBO is good news! Not only for us at Jaffar Consultancy but also for our clients. 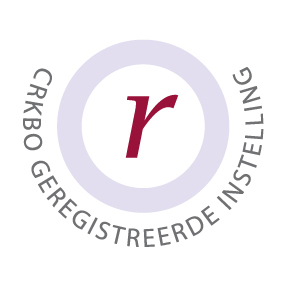 As of July 1, 2010 the Dutch Ministry of Finance had abolished the nineteen percent VAT exemption for all forms of professional training, with the exception of training services provided by firms that have been recognized by the CRKBO. So we can continue to exempt the official VAT rate of 21% on all forms of vocational training and other trainings and courses that we offer. After winning a tender by the Dutch Immigration Services IND Jaffar Consultancy has been awarded a multi year contract to develop and give training in “” verbal communication skills” to all staff of the Dutch Immigration Services IND. The IND has several facilities in the Netherlands. Jaffar Consultancy has been asked to develop and give different kinds of training modules, covering both basic as well as advanced skills and competences. Intercultural communication is an important component of these communicative skills since many of the clients of the IND are people with a non-Dutch background, such as asylum seekers. The IND contract offers a challenge for another reason as well to Jaffar Consultancy. Suudi: ”We have been asked to develop a comprehensive approach to communicative skills for the IND staff. The challenge as we see it is to infuse the generic communicative skills with intercultural knowledge. We have always insisted that intercultural elements are not something that you can train in isolation to the more generic skills. They are to be integrated so as to produce educational content that meets the challenge for any modern organization that will work in a intercultural context. We consider our work for the IND as a new step on this innovative route”. Radi Suudi of Jaffar Consultancy has produced and directed four documentaries (50 minutes each) for Dutch national television. The documentaries were aired in de period August-December 2013 on the 2nd channel of Dutch national television under the title “The Green Line”. The four episodes focus on recent political and cultural developments in four Mediterranean countries. The four episodes were shot in HD on location and were, according to the Sales Department of Dutch Public television, of such good quality that they have been added to the sales catalogue of Dutch public television. According to Radi Suudi: “If anything this proves that Jaffar Consultancy in the coming years is fully capable of integrating the use of highly professional video into her portfolio of training materials and services”. By clicking on the links you can watch the separate episodes of the Green Line via the server of Dutch public broadcasting. The episodes have Dutch voice overs but most of the dialogue is in English or French (episode 3) with some occasional Arabic. We are working on versions with Englisch voice overs. You will have to put up with some annoying commercials for the first 30 seconds that have been added by Dutch public television.......We apologize for that. In November 2012 Leila Jaffar will once again be visiting Cyprus and Jordan. If you are interested in meeting Leila or want to organize a workshop with her, contact us through info@jaffar.nl Or you can use the buttons on this page to request more info or have us call you back. In 2009 and 2010 Jaffar Consultancy trained more than 200 volunteer members of the organizations of Refugee Organizations Netherlands VON on the theme "Dealing with honor-related violence.” In a two-day training that was carried out ten times by us last year for refugees from among others Kurdistan, Afghanistan, Iraq and Somalia, participants discussed ways how refugee communities can discuss honor-related violence within their own communities. Part of the training dealt with the question how refugee organizations can cooperate in their local constituencies with professional bodies like the police and reporting centers. Jaffar Consultancy also wrote a methodological guide for use in these trainings. Commissioned by the Dutch Ministry of Interior Jaffar Consultancy conducted a number of training modules within the project "A promising start" during 2009 and 2010. The track offered a special group of trainees the opportunity to work in a policy function for one or two year work experience in a ministry. The ministries of Foreign Affairs, Interior, Social Affairs, Housing and Works and Water Management (RWS) took part in this project and offered jobs. The participants in this project - six women and seven men – were political refugees, legally residing in the Netherlands who had either in their country of origin or in the Netherlands completed a university study at a bachelor or masters level. In their countries of origin, they usually had worked at their own professional level, but the flight and the asylum procedure which had taken several years had created a hiatus in their CV - sometimes filled with low-skilled jobs. Participants came from several central – and west-African countries like Burundi, Congo and Ghana but also from Iran, Iraq, Afghanistan and Bosnia. The aim of a 'Promising Start' was to help ensure that participants would once again get a job related to their level of education. Jaffar Consultancy provided the training components that dealt with the personal competencies of the trainees. Also, some trainees were individually coached by Jaffar Consultancy. A similar project which has started in 2009 is currently taking place at the Ministry of Watermanagement Rijkswaterstaat in Lelystad. Again, a group of around twelve highly qualified participants with a refugee background has been offered a job in various departments of RWS on a two year contract works. Training and coaching of these participants is done by us, usually in the form of Personal Training. In 2008 and 2009 Jaffar Consultancy was commissioned by the A+O Fund Rijk (National Labour and Education Funds for the Governmental Sector) to undertake a large two year project called "Coaching and Diversity”. At six ministries coaches and executives were trained intensively by Jaffar Consultancy in coaching and support of bi-cultural employees. The response from participants was overwhelmingly positive. 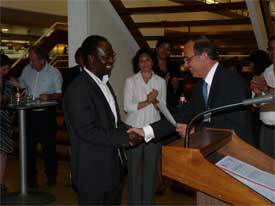 In June 2007 a kick-off meeting for this project was organized by the A+ O Fund . Click here for a report of the meeting. In March 2009 the final meeting took place. Click here for the report of that meeting. The reports are in Dutch. The A +O Fund has published a very informative and readable book about the project (in Dutch) called “Coaching and Diversity”. You can click here for the publication. The book consists of interviews with coaches and managers who participated in the training of Jaffar Consultancy and a background article by Leila Jaffar and Radi Suudi of Jaffar Consultancy. It gives a good picture of the project, the importance of diversity policies and the procedures of our consultancy firm.